The goal of PostEurop's new strategy is to promote the postal services, including the diverse mail and parcel services, which constitute key elements of members' activities. The Association also supports Members in finding new and innovative ways of developing their activities in response to ever-changing market conditions and demanding customer needs. In order to align all activities of PostEurop towards the same goal, the following vision and mission shall guide the Association’s efforts. PostEurop is the link to postal expertise. As a member-driven association, through interaction and co-operation, PostEurop supports its members in navigating the evolving market and promotes their interests to all relevant stakeholders. PostEurop brings added-value to its Members by functioning as an exchange for co-operation, communication, and innovation, and by providing solutions to common challenges facing the postal industry. 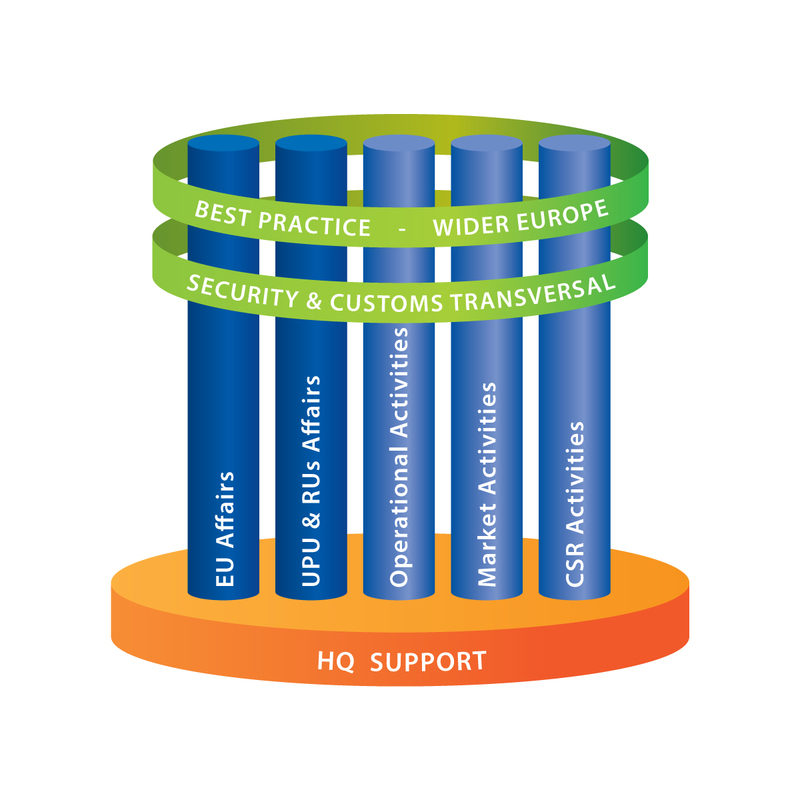 PostEurop provides Members with interconnectivity, common development initiatives, and the opportunity to share best practices; we also help facilitate dialogue within the industry and provide customised support for members as needed, taking into account the needs of a wide range of stakeholders, and the multiple aspects of sustainable development. PostEurop aims to be an influential player on the industry's behalf within the postal regulatory environment. PostEurop is a Restricted Union of the Universal Postal Union (UPU) and aims to influence dialogue related to UPU matters. PostEurop represents and supports its members’ relationships with external stakeholders where relevant and appropriate. The overall organisational framework support the association's strategy, reflecting the priorities and focus of this strategy. The main activities are represented in this diagram.